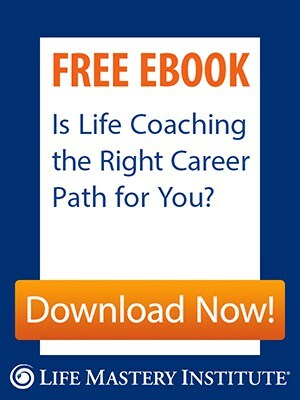 Would you love to gain access to free blog articles from the world’s top experts on how to be the best you, both in your personal life and in your career as a life coach… but perhaps you’re not sure of the best personal development blogs to follow? We’ve put together a list of the eight best blogs you can follow that will help guide you in your personal growth and your entrepreneurial journey as you continue building your life coaching business! Plus, you’ll gain access to additional done-for-you templates and other resources that you can download for free! 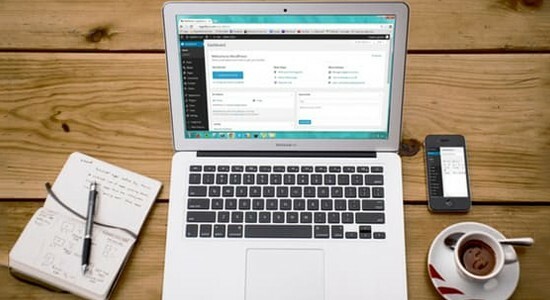 On each blog, you’ll also see an option to subscribe to the author’s email list, so that you’ll receive updates in your inbox each time fresh blog posts are published. A #1 New York Times and #1 Wall Street Journal bestselling author, Brendon’s books include The Motivation Manifesto, The Charge, The Millionaire Messenger and Life’s Golden Ticket. On Brendon’s blog, you’ll find free weekly videos that reveal how you can create and live an energized, engaged, and fulfilling life, both at work and at home. The topics he covers include how to overcome insecurity, the secrets to staying connected to your goals and serving your business’ mission, plus much more! Jack Canfield is the originator of the bestselling Chicken Soup for the Soul book series that’s sold over 500 million print copies worldwide. He’s also written many other bestselling books, including The Power of Focus, and his internationally-acclaimed audio program, Maximum Confidence, has sold more than 350,000 copies around the world. Jack is also widely considered “America’s #1 Success Coach,” and on his blog, he shares proven step-by-step strategies on how to expand and uplevel every aspect of your life and career. Train The Trainer Online is a self-paced online training program that takes Jack Canfield’s Success Principles to new heights by teaching trainers to empower and transform the lives of their students, employees, clients – groups of any type or size, in any training setting imaginable – using his proven, step-by-step, experiential teaching process. The Train The Trainer Online Program certifies you to teach Jack’s Success Principles and gives you everything you need to transform your life and career by empowering others to unlock their greatest potential. Based on the bestselling book Lean In by Sheryl Sandberg, the Chief Operating Officer of Facebook, LeanIn.org is a movement dedicated to supporting women in achieving their dreams in business and in life. On Lean In’s blog, you’ll find inspiring news, articles and stories that will benefit both men and women on topics ranging from how to be an extraordinary leader at home and at work, how to strike a more fulfilling work-life balance, tips for successful negotiation and much more. Tim Ferriss is the author of three #1 New York Times bestsellers, including The Four Hour Work Week. On Tim’s blog, you’ll find articles and other free resources that reveal how you can be a more productive, focused and fearless entrepreneur. You’ll also find links to free episodes of The Tim Ferriss Show, his top-ranked podcast where he focuses on deconstructing what makes the world’s top performers tick. Tim’s podcast episode with Oscar-winning actor, Jamie Foxx, was voted “Podcast Episode of the Year” in 2015! An internationally-celebrated speaker, coach and mentor on the psychology of achievement, Brian Tracy is the bestselling author of over 70 books, including Earn What You’re Really Worth: Maximize Your Income at Any Time in Any Market. On Brian’s blog, you’ll gain access to free articles and other resources that will guide you how to set and achieve goals in your business and in your personal life, quickly and easily. You’ll also find dozens of blog articles on how to boost your self-esteem, how to be an extraordinary leader, and how to enroll more people into your life coaching programs! Grab the free “ABCDE Checklist” now to maximize your productivity! Marianne Williamson is the four-time #1 New York Times bestselling author and internationally-acclaimed teacher of spiritual principles. Her books include A Return to Love, The Law of Divine Compensation, The Age of Miracles and many others. Marianne’s blog contains a library of articles on how to increase the power of your intuition, live your most authentic life, treat others with more kindness and compassion, and many other heart-expanding topics. You’ll also find links to video recordings of various live lectures and seminars that Marianne has given that, if making a difference in the world is important to you, I know you’ll find truly helpful! John Lee Dumas is the host of the top ranked podcast, Entrepreneurs On FIRE, where he interviews the world’s most inspiring entrepreneurs. On his blog, you’ll find links to his free podcast episodes, where entrepreneurs like Tony Robbins, Seth Godin, Shark Tanks’ Barbara Corcoran and many others reveal their top productivity and success secrets that you can quickly apply to your own life and life coaching business! Tony Robbins is the author of six bestselling books, including his most recent #1 New York Times bestseller, UNSHAKEABLE: Your Financial Freedom Playbook. Through his books, training programs and live from stage, he’s touched the lives of more than 50 million people from 100 countries. On Tony’s blog, you’ll have a multitude of blog posts and other free downloadable resources at your fingertips that will support you in achieving excellence in your life and business. Want to elevate your results in business and in life? Keep looking for, and leaning into, opportunities for growth! That little blade of grass will press through cement, seeking the light. 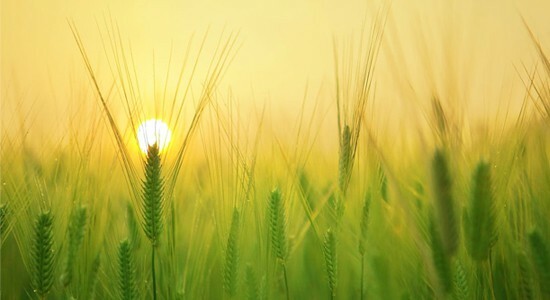 This same life energy that causes a blade of grass to press through cement is in you. It’s beckoning to you to grow, expand and express yourself in greater, freer and fuller ways. The blogs I’ve shared with you today will help support your personal and professional growth! As you look to elevate your results personally and professionally, continue to look for opportunities to expand your awareness, stretch beyond your comfort zone, and learn from others who have already achieved the level of success that you desire. What’s a personal development blog you love, that I haven’t mentioned here? Go ahead and share your favorite personal development blogs with me in the comments below. I’d love to hear from you! I’m so excited to get started. I feel that the Lord as lead me to believe in myself and that I could do anything thought Him who gives me strength. So excited in the transformations I have seen in my life the past year. Making the important decisions that I needed to make to work toward my own business as a Therapist and Life Coach. I am really taking successful steps toward my dreams, and they are coming true! Thank you Mary!!!!!!! I’m ready to explore the world! Nice article with an easy to understand sentences. I have added you in my friend list and waiting for your next post on personal development. Such a nice well researched article. Thank you so much! It helped me in many ways. Useful blog. This suits on Career Development Coaching. I would like to thank you for all the information you give. Its really important to gather information about it . So thanks for the information you give. These blogs are really helpful for us. This is really good Blog. I Must Share it with my friends. A good information. but check this author i think soon it is gonna be the best in the budgeting and managing the money. Thank you so much for all the Positive Energy you pass along! You inspire me to continue doing the same thing! I Endeavor to Discover !! !